HomeOnline Poker NewsWPT Borgata Winter Poker Open — Vinicius Lima Wins! The World Poker Tour Borgata Winter Poker Open wrapped up on Wednesday as the final table was played at HyperX Esports Arena which is located inside the Luxor in Vegas. This final table was the third one over three days, as all final tables were set to play at the same time and in the same place. The tournament had a total of 1,415 entries at the beginning, and it started about a month ago. The final six players had to wait in order to play the last part of the tournament but managed to give as a real poker spectacle which lasted for approximately 10 hours. 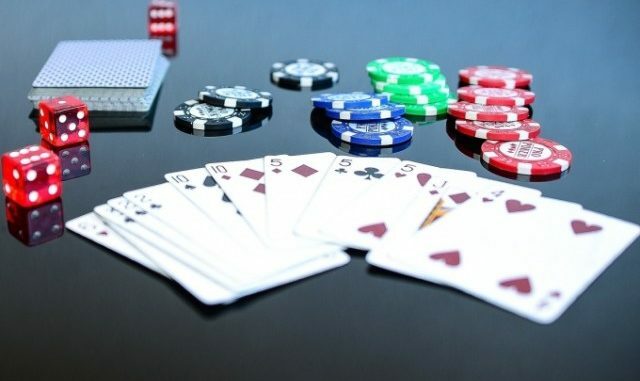 In the end, it was a young player named Vinicius “Viny” Lima who managed to emerge in the first place and claim a cash prize which was $728,430. In addition to that, Lima also won a Hublot Big Bang Steel Watch, as well as an entry into Baccarat Crytal Tournament of Champions that is worth $15,000. Lima stated that he had been very fortunate and had had good energy around him during the final table. Furthermore, he added that he had battled and had been fortunate to win the thing. Lima also stated that everything had felt surreal and unbelievable for him at that point. Apart from being very lucky, Lima also had support from his friends and family, including Scott Blumstein, who won the 2017 World Series of Poker Main Event. In fact, people cheering for him very very passionate and loud, giving him additional motivation to win the tournament. Lima stated that it had been one of the loudest things he had ever witnessed on a poker tournament, as his friends and family cheered loudly after every hand he won. The final part of the tournament was pretty exciting as it took 236 hands to complete, with Viny Lima being the last survivor. The sixth place was occupied by Ian O’Hara, who won $154,734 and was followed by Daniel Buzgon in fifth place with a cash prize of $202,942. The fourth place was won by Brandon Hall, who managed to win $268,810, while the third place was won by Joseph Di Rosa Rojas, the only non-US citizen in the final table. Rojas comes from Venezuela and managed to win $359,55. The second place was reserved for Dave Farah, who managed to lose the heads-up play against Viny Lima and won a total of $485,611. Dave Farrah was a chip leader at the start of the day, and the final part of the event lasted for 46 hands with chips going back and forth. After that, Lima managed to pull a big lead, and Farah eventually ended up a runner-up. This is the biggest win for lima who had a total of $263,186 from live tournament earnings prior to this win.